You have a new product, and now it’s time for marketing. An extremely important part of marketing is the press release. This is the method to use in order to reach the media with news of your new, exciting product. Below I’ll give you 9 steps for you to consider when creating your press release. 1. Do you have a news? Remember that what’s interesting for you may not be interesting for others. Test it on someone in your target group. Is it in fact news at all? Start with the news, short and clear, so that you create interest. A common mistake is to begin with background information. You want to do that last, otherwise the reader might loose interest. This should be quite obvious. If you have have several different target groups, you might have to adapt the information accordingly. You don’t want to make it all about sellling. Be to the point and create interest. It must be news worthy. It’s a thin line, which is very easy to cross. Make sure you keep on the right side, or your press release might be turned down as advertising. Make sure to have your contact information on the press release, at a minimum your email address and phone number along with your name. A good headline attracts attention. There have been many cases when a headline, as well as the text, have been taken straight from the press release and published without changes. This is perhaps not the common practice, and it would take a very good copy writer to manage this. The more ready for publishing your news is, the greater the chance is to be published. 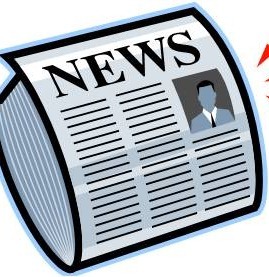 Remember to attach pictures or give a link for download of pictures that can be used to enhance your news even more. Make sure to have good quality pictures. Hire a professional photographer is necessary. A great picture can help your news. Do you have a poll, or part of a poll, that is connected to your company or business? Use that information. Media loves facts and numbers. Do you have a diagram, even better! This is a really important step. Newspapers and television aren’t the only ones who publish news. The bloggers, or the citizen journalists if you will, are also interested in news and they can add to your reach both within your target groups as well as to others. Well, these are my 9 steps to a compelling, and successful, press release. I’ve found they work for me. Others may do it differently, but in the end we all end up with pretty much the same result.